It was a day I’d been dreading. The lease on my son’s rented house came to an end this week and he asked me to help him move out. He’s fiercely independent and would have done the move by himself – except he’s got mountains of stuff, a turbo trainer and several bikes. He doesn’t have a car and the insurance on hiring a van would be sky-high. But when I got to Bath I was delighted to find that he was completely packed up, had cleaned the house and was ready to go. What a difference from his first year at university, when I arrived at his student halls to find him so knee deep in clutter I could barely spot him in the midst of it all. Now he’s older and wiser – and so am I. So, if your child is going to university this autumn here is a great tip I gleaned from the dad of one of my son’s pals. Whenever my son’s housemate asked his dad to collect him from Swansea at the end of the year the dad would demand he texted a picture of his room before he even set off from home. If the room wasn’t tidy, with bags packed and sorted, he’d pour himself another coffee, refusing to get in the car till he got a picture of his son’s immaculate room. How nifty is that? Getting home in another matter though. Three days after my son’s move our hall is still full of bikes, tools, cooking equipment and clothes. My son has left for a festival in the wilds of the countryside and I have no idea where to put anything. Help! The papers are full of excited teenagers, jumping with joy about their A level and GCSE results. But spare a thought for the ones who missed their grades and are hastily having to make alternative plans for the future. Some will get their papers remarked (sadly, this comes at a price), others will take a gap year and have a rethink and some will opt to do resits next year. If that’s the situation your teenage child is in right now, I’d reiterate the comment of a Woman’s Hour guest this week. She wisely said that while exam results are “important”, they’re not “life-defining”. How true. I couldn’t agree more. A recent study by Liverpool University academics declares that if you’re middle-aged then doing nothing on holiday is detrimental to your health. Well, that’s all right then. My husband has just returned from a two-week gliding holiday in the south of France. 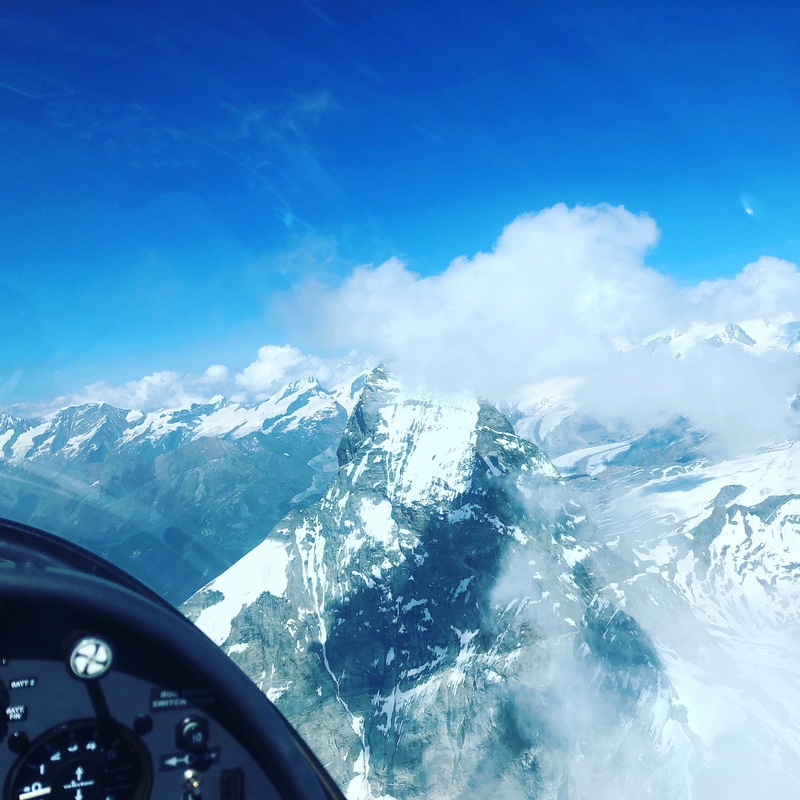 He spent his days gliding within a few feet (I’m not exaggerating) of peaks like Mont Blanc and the Matterhorn, feats that were so scary and difficult that he had to remember to breathe.